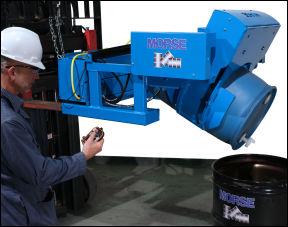 Use the new Morse model # 290F GRIP+GOTM power-grip fork mount drum handler to lift, move and pour a drum right from your forklift. You can FULLY invert a drum. . . turning the drum forward 180o. Control the drum tilt function all the way from upright to fully inverted. 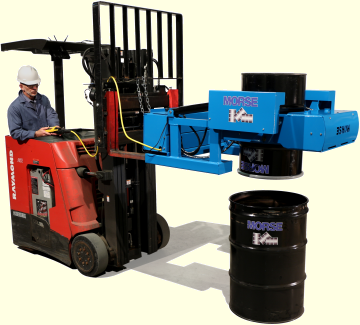 The drum turns down BETWEEN the forks, close to the forklift. 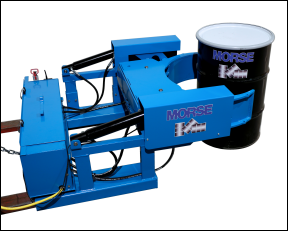 The compact design (dimensioned drawing on spec sheet) provides a tight turning radius. And the GRIP+GOTM weighs just 680 Lb. 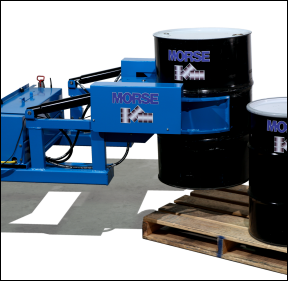 (308 kg) for minimal lost load on your equipment. 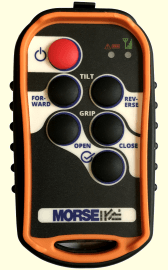 Factory installed Option # 6149i-P Wireless control is available. 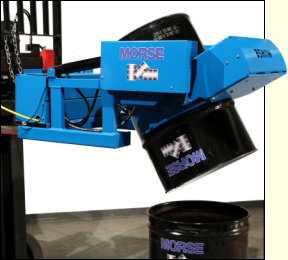 The GRIP+GOTM requires 25" (63.5 cm) between the forks, as the fork pockets are 25" apart for clearance around a typical 24" (61 cm) diameter 55-gallon (210 liter) drum. 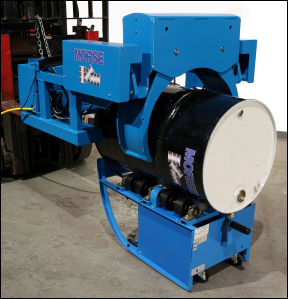 Model 290F grips a drum with 8" x 16" (20 x 41 cm) jaws. 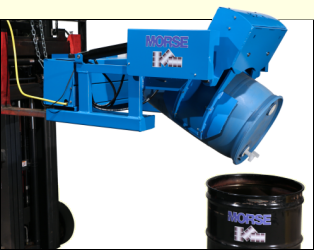 The grip pressure is adjustable for handling a steel, plastic or fiber drum. 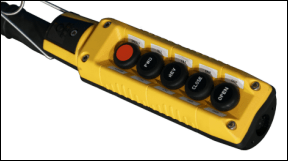 Tilt Control: Battery Power with pendant. Optional wireless tilt conrol. 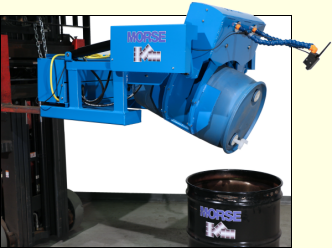 Product Dimensions: L54" x W41.5" x H22.5"
Set a horizontal drum onto a Morse Portable Drum Roller (shown here) or a Stationary Drum Roller to mix the contents of a sealed drum. When mixing is complete, lift the drum off the roller and move to where it is needed. 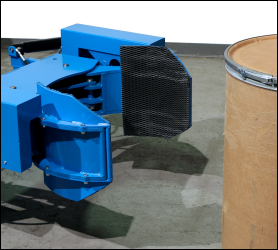 Grip Pads Required for plastic or fiber drum provide 75% more grip surface. Grip surface material is high friction SBR Rubber Polymer. 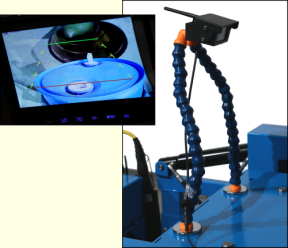 Factory Installed Camera Option provides the forklift operator a clear view of dispensing on a monitor in the forklift cab. 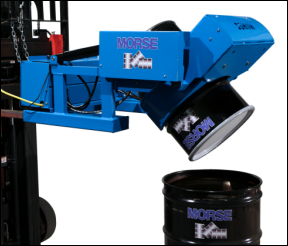 290F GRIP+GOTM Power-Grip Fork Mount Drum Handler 1500 Lb. (286 kg) L51" x W46" x H38"
(130 x 117 x 97 cm) 784 Lb.